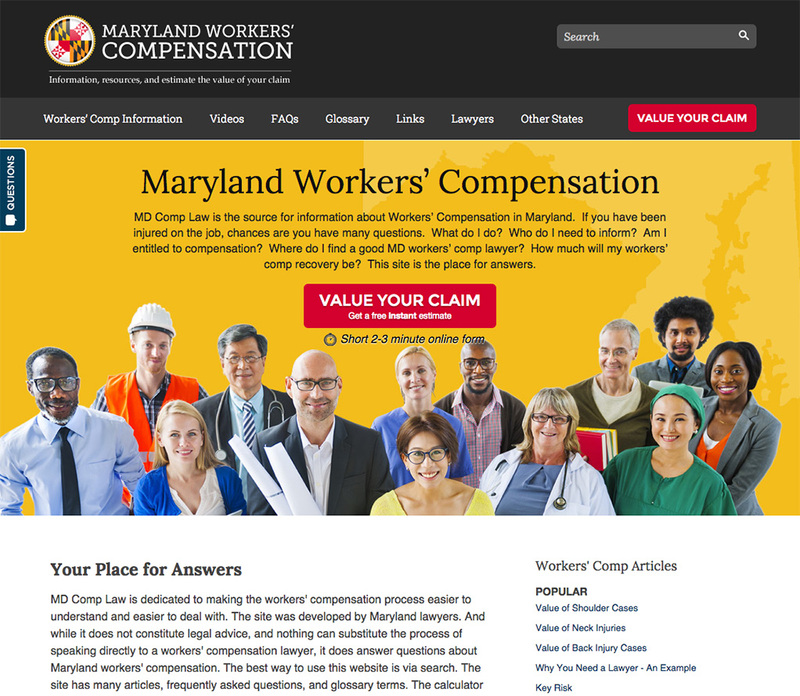 MD Comp Law is dedicated to making the workers’ compensation process easier to understand and easier to deal with. The site was developed by Maryland lawyers. And while it does not constitute legal advice, and nothing can substitute the process of speaking directly to a workers’ compensation lawyer, it does answer questions about Maryland workers’ compensation. The best way to use this website is via search. The site has many articles, frequently asked questions, and glossary terms. The calculator will provide you with a rough estimate of your workers’ compensation award.